Joshua Michael Pepperd, 42, went to be with the Lord on Sept. 28, 2018, in a helicopter crash in Southeast Alaska. Josh was a follower of Christ, husband, father, son, grandson, uncle, pilot, point guard, hunter and friend to all of us. Born on Oct. 26, 1975, in Anchorage, Alaska, to Greg and Patti Pepperd, he was a 1994 graduate of Wasilla High and a 1999 graduate of Boise State University, where he earned an engineering degree in construction management. While attending Northwest Nazarene University in Nampa, Idaho, Josh met his wife Lindsay Jamison. They married in 1997 and started a beautiful adventure. Josh began his career in construction in 1994 as a Union Laborer. Josh began his career at Davis Constructors and Engineers Inc. as an intern during summer breaks from college. In June 1999, Josh started full time at Davis and remained there for the entirety of his career. Josh was instrumental in founding Mass Excavation Inc., a sister company to Davis. Both Davis and Mass X had the honor of Josha's leadership as President and mentor for over a decade. There was never a dull moment in Josh's life. Escapes with his family at the cabin or ranch, hiking to the tops of mountains with his children and constructing projects with excellence were his passions. Josh had a deep faith in Christ and it was evident to all who knew him. His Christianity was demonstrated through his actions, character, integrity and passions. Josh believed God did not put us on this earth to do nothing against the evils on this planet that go against His nature. He felt strongly that his resources belonged to God, they are provided by His grace and to be used for His glory. He deeply loved his family. He impressed upon them to take the Lord's Word into their hearts, thoughts and deeds. He talked to them about God when they sat at home and when they walked together, when they prepared to lie down and when they got up in the morning (Josh's house is full of scriptures and they are even written on his doorframes). He is survived by his wife, Lindsay, a bun in the oven, their expected daughter; his children, Aidan, Annika, Abigail and Ava; his parents, Greg and Patti Pepperd; his grandmother, Donna Rhett, all of Wasilla, Alaska; his brothers and sister, aunts and uncles, nieces and nephews and countless friends. He entered heaven with his beloved son, Andrew. A memorial service will be held at Anchorage Bible Fellowship on Friday, Oct. 12, 2018, at 3 p.m.
Andrew Michael Pepperd, 11, passed away in a helicopter crash in Southeast Alaska on Sept. 28, 2018. Andrew and his Father Josh entered the Lord's Kingdom together. Andrew was born March 4, 2007, in Anchorage, Alaska to Josh and Lindsay Pepperd. He was home educated, and often accompanied his father to work. His parents taught him diligently to walk in the path of righteous. Andrew was an avid outdoorsman, who loved to hunt, fish, camp and enjoy extended trips to the cabin with his family. He had a hilarious imagination and his belly laugh was infectious. He loved his brothers and sisters and could not wait to meet the newest addition to the family. He is survived by his mother Lindsay, his brother and sisters: Aidan, Annika, Abigail, Ava, and the bun in the oven, his grandparents: Greg and Patti Pepperd, great grandmother Donna Rhett all of Wasilla, Alaska, Rob and Linda Jamison of Nampa, Idaho, numerous aunts and uncles, cousins and friends. A memorial service will be held at Anchorage Bible Fellowship on Friday October 12, 2018, at 3 p.m. The Pepperds had just purchased the helicopter new. 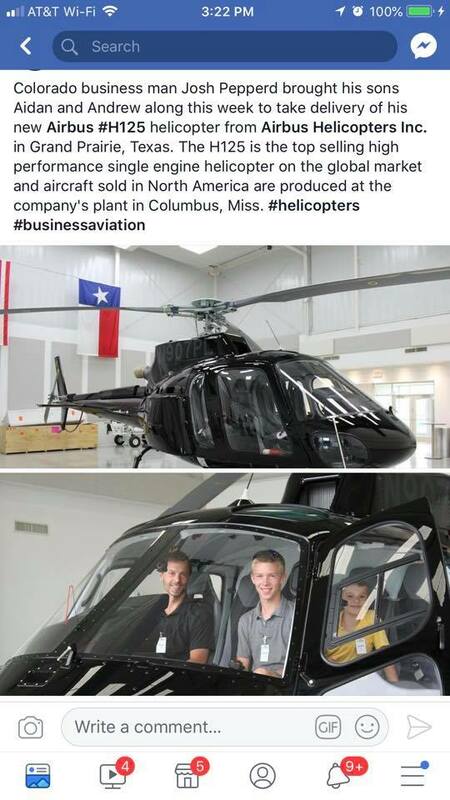 Airbus Helicopters had posted this photo on the company’s Facebook page when the family took possession on September 26th in Texas. 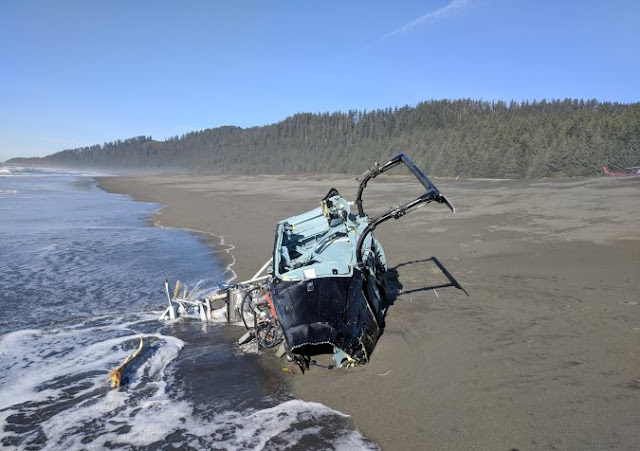 The helicopter crashed in the water approximately 100 yards from the shoreline of a beach about three miles east of Lituya Bay.The Coast Guard located sections of the crashed helicopter fuselage, engine, rotor head, and front and rear seats washed up on the beach today but not any sign of the passengers. 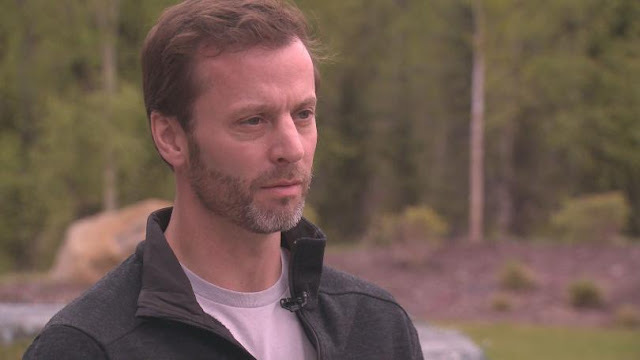 Josh Pepperd, the president and owner of Davis Constructors, is missing from a helicopter that crashed Friday evening near Yakutat. The U.S. Coast Guard has called off a two-day search for three people missing from the wreckage of a helicopter that crashed in Southeast Alaska's Glacier Bay National Park and Preserve. 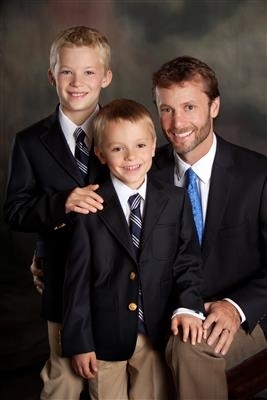 Josh Pepperd, 42, the president of Anchorage's Davis Constructors and Engineers, his 11-year-old son Andrew and Palmer helicopter piloting company owner David King, 53, are presumed dead in the crash. The Coast Guard, the Alaska Air National Guard and Civil Air Patrol searched 788 square miles over more than 36 hours, according to Nate Littlejohn, a Coast Guard spokesman. With no signs that the three had survived the crash, the search was suspended at 12:30 p.m. Sunday, according to the Coast Guard. The new Airbus helicopter crashed sometime Friday in a tidal zone near Lituya Bay, a fjord with a narrow entrance situated 120 miles northwest of Juneau in Glacier Bay National Park and Preserve. Some pieces of wreckage, including parts of the engine and seats, washed up on the shore. Coast Guard personnel rescued Pepperd's older son Aiden, 14, from a beach about 3 miles from Lituya Bay on the Gulf of Alaska coast, according to a press release from Glacier Bay National Park and Preserve. He is being treated at an Anchorage hospital, according to the Coast Guard. Pepperd is the president of Davis Constructors and Engineering, a major Alaska construction company headquartered in Anchorage. The company was responsible for a recent expansion of the Anchorage Museum, as well as other major projects around the state. He has also been a major donor to conservative Alaska political candidates and causes. Pepperd and his sons were bringing the Airbus H125 helicopter to Alaska after picking it up at an Airbus facility in Grand Prairie, Texas. They were expected to arrive in Yakutat on Friday night but never made it. The helicopter is "brand-new, top of the line," said Clint Johnson, the National Transportation Safety Board's Alaska chief. It's not clear whether Pepperd had purchased the helicopter for business or for personal use, or who was piloting it at the time of the crash. NTSB investigators were at the scene Sunday trying to find and remove recording equipment from the wreckage of the helicopter before it is damaged by saltwater. "This helicopter had the latest and greatest technology that's out there," Johnson said. If recovered, Johnson said, the recording equipment "can give us a chance to see what happened in the last moment of this flight."